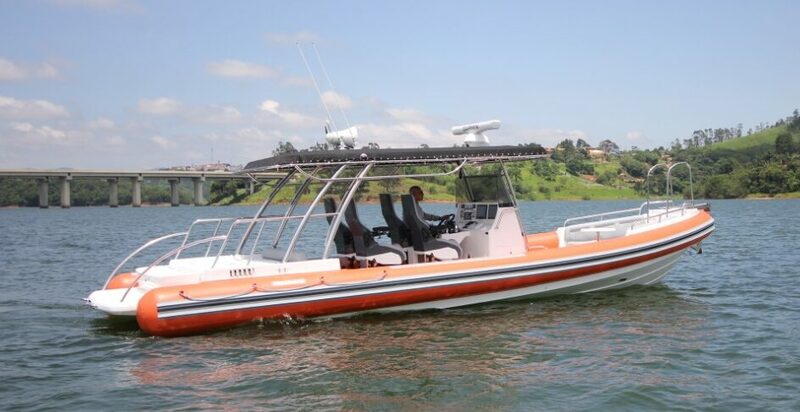 This powerful 10m RIB with twin inboards has a total output of 860hp making it capable of reaching a top speed of 50 knots! 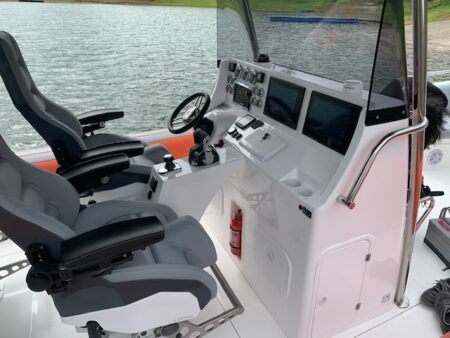 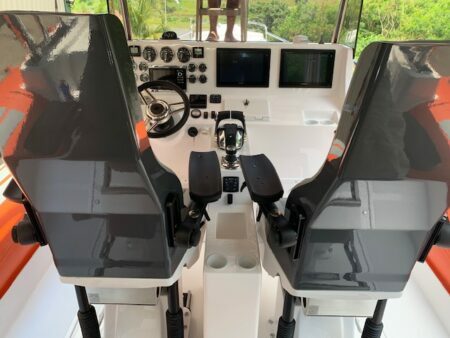 With a well-designed console together with four Ullman Atlantic Crew, one is sure to be seated comfortably and protected at high speeds. 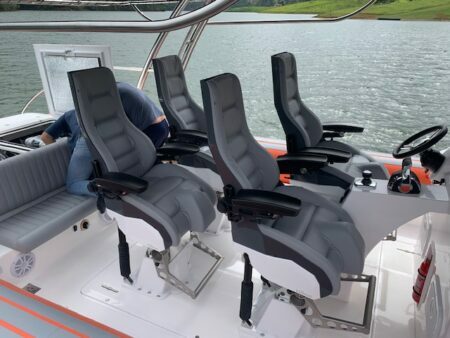 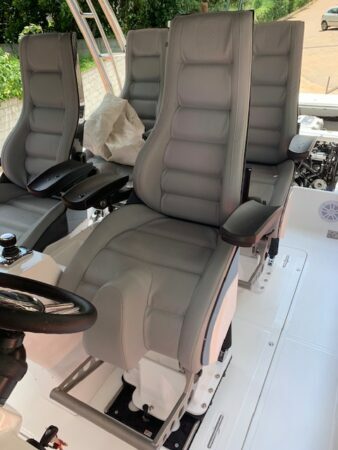 The seats are also outfitted with our armrests and footrests which makes the ride even more comfortable cruising the Brazilian waters. 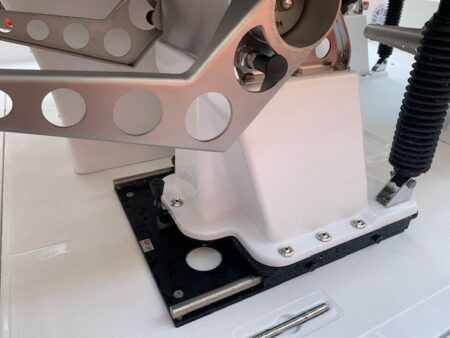 The helm seat is also outfitted with a longitudinal slider which allows the seat to move longitudinally.